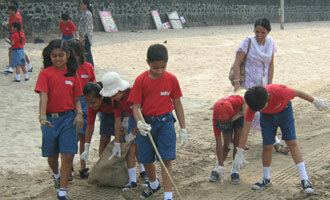 MET Rishikul Vidyalaya students aged 8 years conducted a beach clean up drive recently. Over 100 MRV students participated in this NGO activity. The activity was undertaken to instill social and environmental responsibility in the students at a very young age.